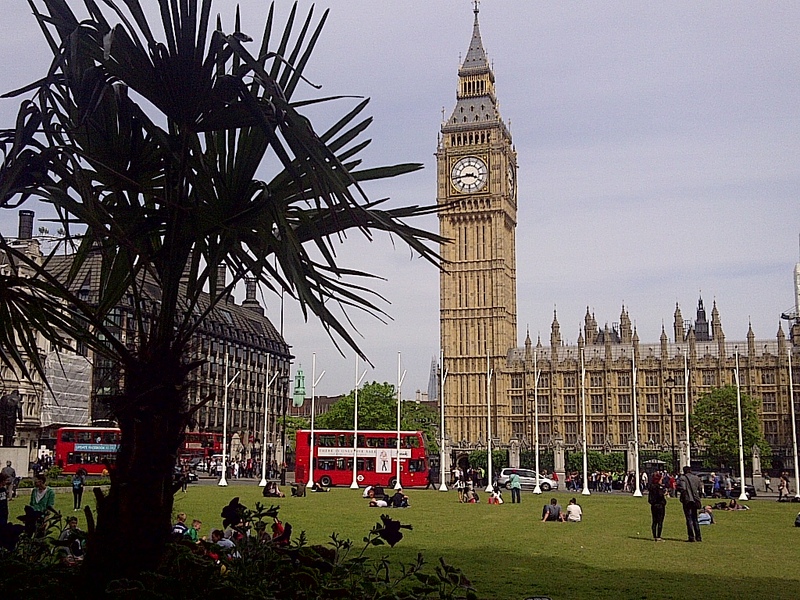 The icons of empire: Big Ben, Parliament Square, and a London double decker bus. London, England. June 17, 2013. On the ENGLAND, SCOTLAND & WALES tour.